The Hayes family is related on the maternal side of my family. 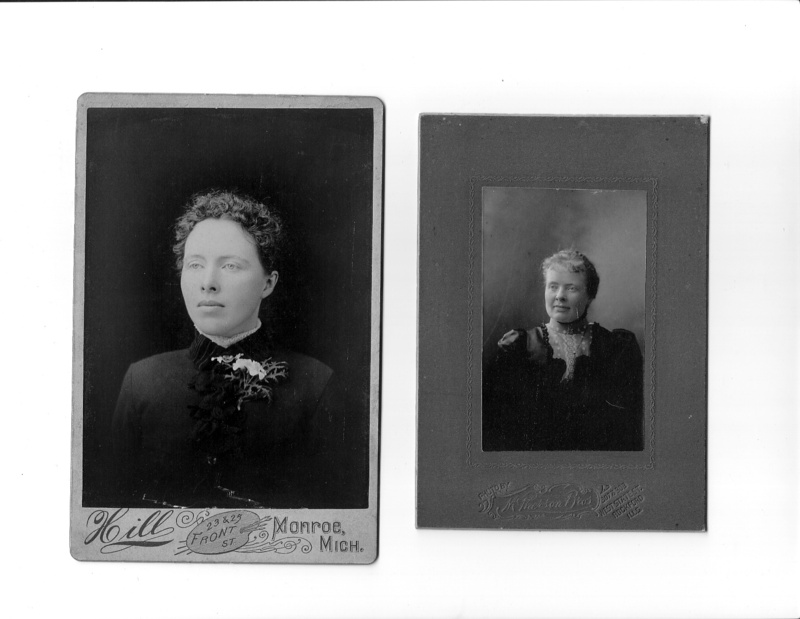 My mother's name is Gertrude Lillian Hayes, born the daughter of Victor Earl Hayes and Marguerite Marie McCully. My mom has two brothers and two sisters. 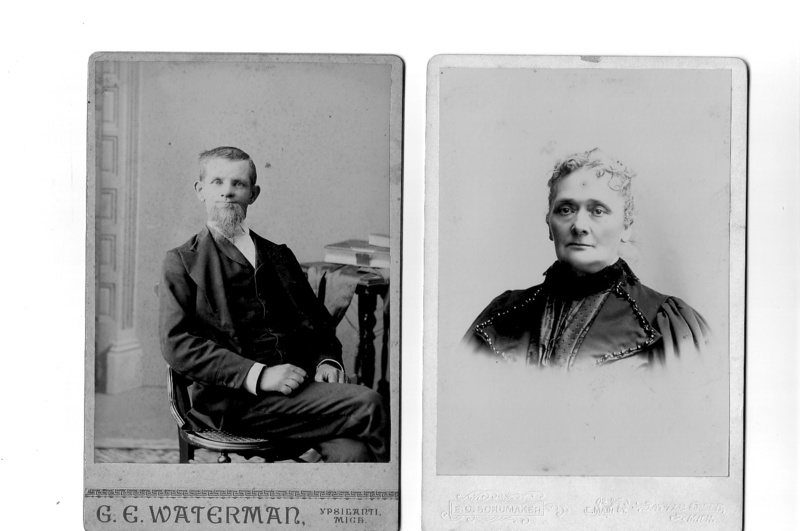 Victor E., David W., Ann M., and Mary E. Hayes. Victor Earl Hayes was born on December 17, 1910 in Jackson, Michigan. He was the son of Ben Eugene Hayes and Lillian M. SimpsonThe date of his marriage to Marguerite McCully is unknown. They were divorced after Mary E. was born, and nobody has a copy of the marriage certificate. 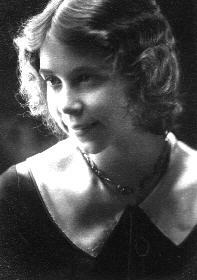 It is estimated that it was approximately 1932 and Marguerite graduated from St. Marys in Jackson, Michigan in 1930 and her first son was born in 1933. Victor had three brothers and one sister. From oldest to youngest was (1)George Arleiph, (2)Eugene Lyle, (3)Bennie Simpson, (4)Ardis Lucille and Victor was youngest. 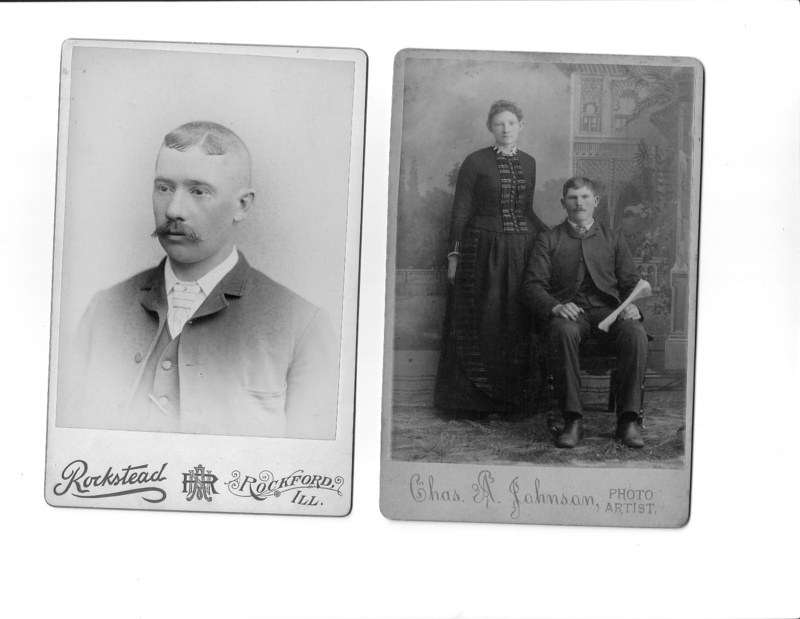 His parents, Ben Eugene Hayes and Lillian M. Simpson were married June 1, 1902 in Bay City, Michigan. This was a short distance from Standish, Michigan where Ben was raised. Ben worked as a mail carrier as a young boy. He later became a newspaper printer. He worked for the Kingsley Courier, Battle Creek Enquirer, Jackson Citizen Patriot, and he also worked for a long time at the Pontiac Press. Ben was actually born in Park, Kearney County, Nebraska on July 2, 1882. When he was born, a birth certificate was not issued. A determination was finally issued in 1942 by the Oakland Circuit Court four years before his death. 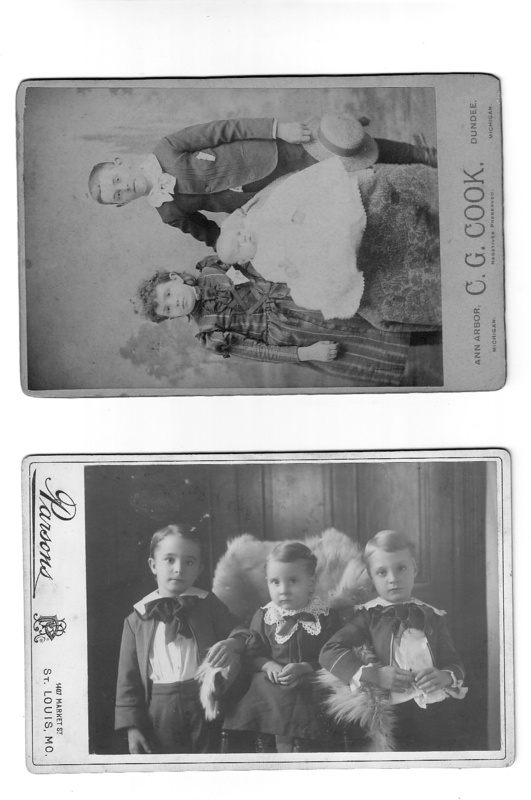 Ben was actually the second child of Sanford Eugene Hayes and Amelia Ann Cole. 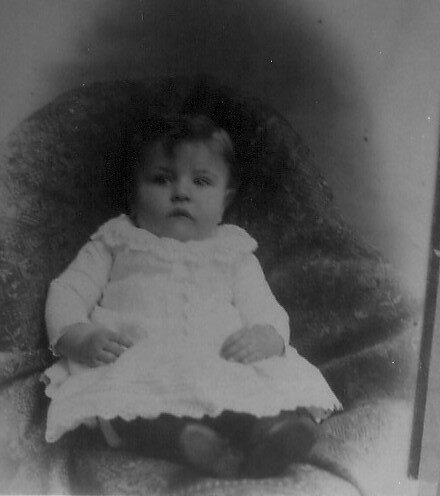 The first child, Asa, died when he was two months old. 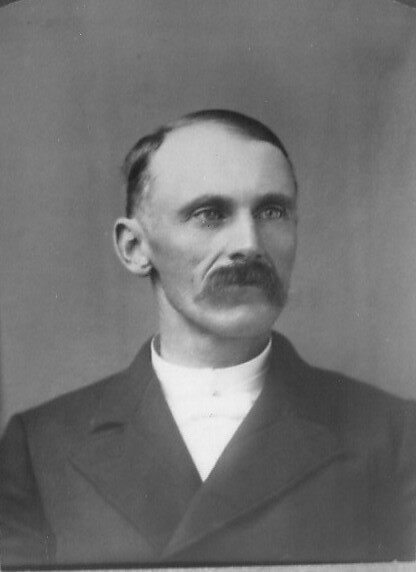 The family was in Nebraska so that Ben's father Sanford could study to be a minister. 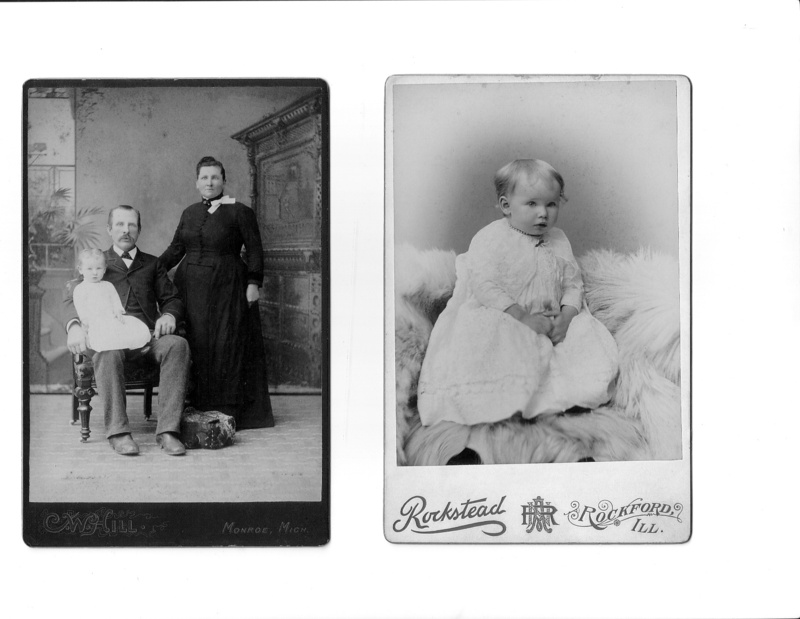 Ben was born in a 10 X 14 sod house where he lived for the first five months of his life. The family then moved to Buffalo, Nebraska. 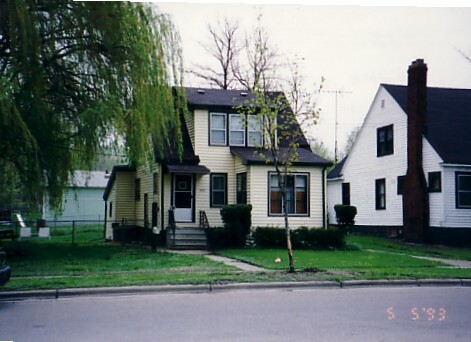 Ben moved with his family back to Ann, Arbor when he was two. He stayed in Michigan the remainder of his life. He died on July 7, 1946 in Pontiac, Michigan. 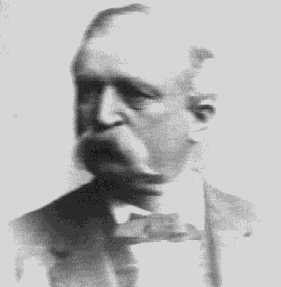 Ben's father, Sanford Eugene Hayes was born May 10, 1860 in Azalia which is in Monroe County, Michigan. He grew up in Azalia and was married on Christmas Day 1878 to Amelia Ann Cole. 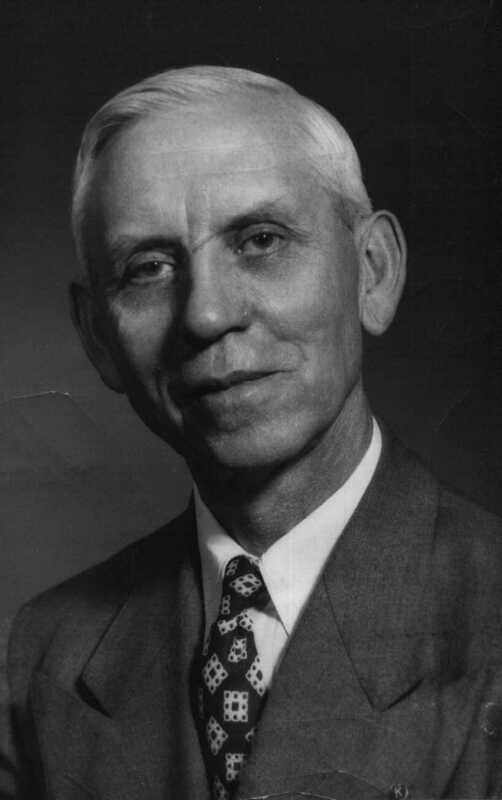 The service was performed by his father, Sanford B. Hayes. They moved out to Nebraska where Sanford E. Hayes studied to be a minister. 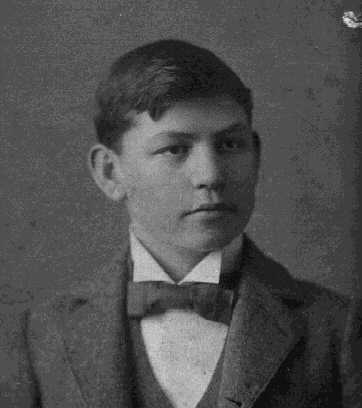 Their first son, Asa was born in Nebraska. 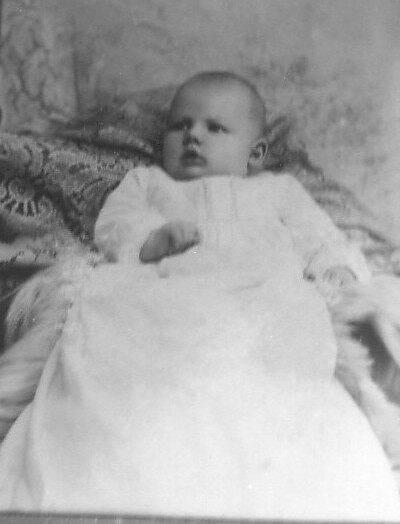 He died at the age of two months. Ben was the second child born. 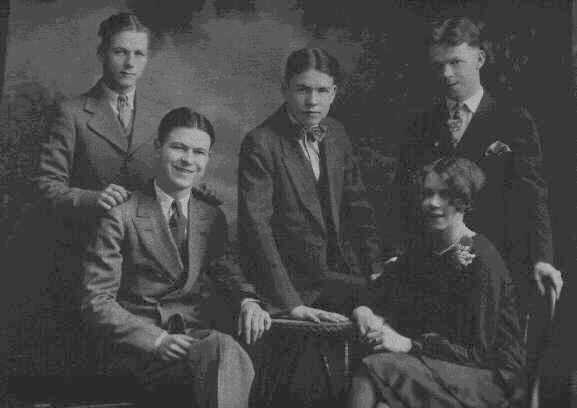 Following were Earl M., Nancy Theo, Russell C., Ralph Horth, Amelia Gladys, Richard and Thelma. All of them were born in Michigan. 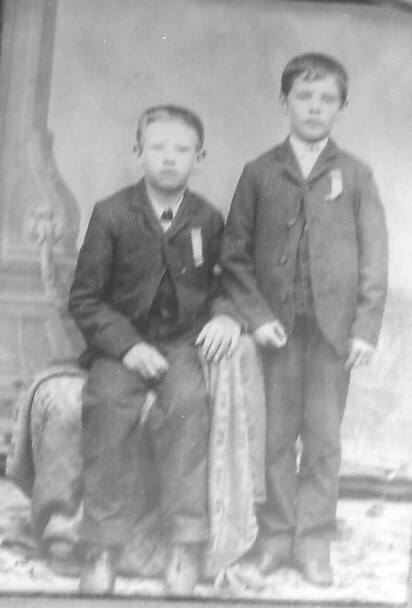 Russell C., and Richard died in infancy. After leaving Nebraska, the family moved back to Ann Arbor where Sanford studied law at the University of Michigan. He nearly went blind from granulation of the eyes. A classmate, Ralph Horth would lead him back and forth between classes. This is who his son Ralph was named after. They moved from Ann Arbor up to Standish in Arenac County. Sanford worked as City Treasurer. 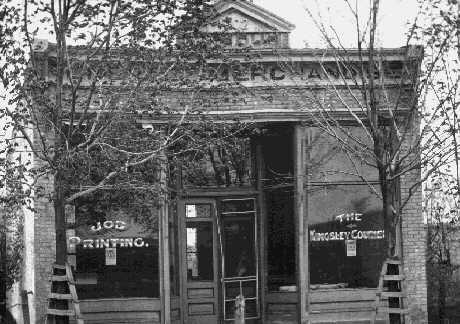 He was appointed by President Benjamin Harrison to be the Postmaster in 1889. He was also School Commissioner. Even though Sanford E. had to leave law school at the University of Michigan because of eye problems (he was nearly blind), he still continued to study law by himself. He was eventually the first person to be admitted to the bar in Arenac County, Michigan. He later became the Prosecutor of the County. He died in 1929 in Standish, Michigan. For more information on his wife, Amelia Ann Cole, click on the Cole/Wilkins/Pasco Family Page. Sanford E. Hayes was the son of Sanford B. Hayes and Nancy Ann Blackburn. 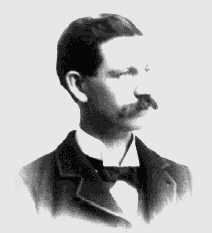 Sanford B. Hayes was born February 23, 1840 in Milford, Oakland County, Michigan. He grew up in the Milford area. 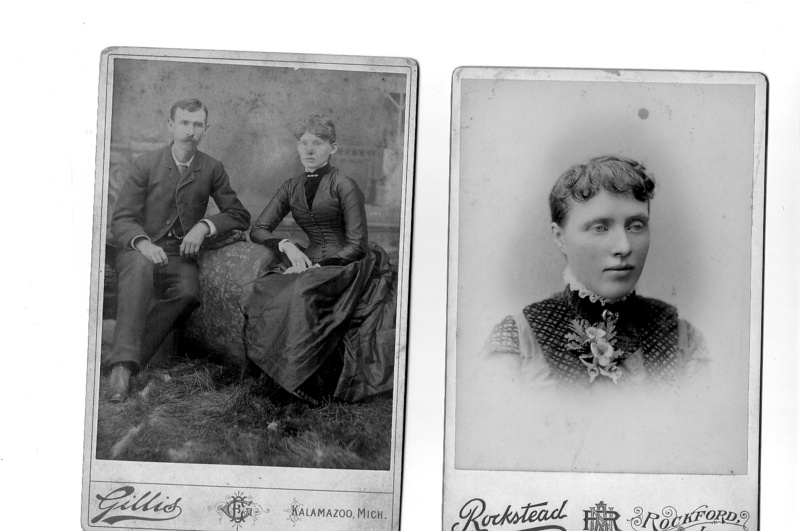 He was married on July 10, 1859 to Nancy Ann Blackburn in Milan, Washtenaw County, Michigan. They had a total of nine children together. (1)Sanford, (2)Charles, (3)Nettie, (4)Alfred, (5)Mary, (6)Olive, (7)Rutherford, (8)Clara, and (9)Jennie. 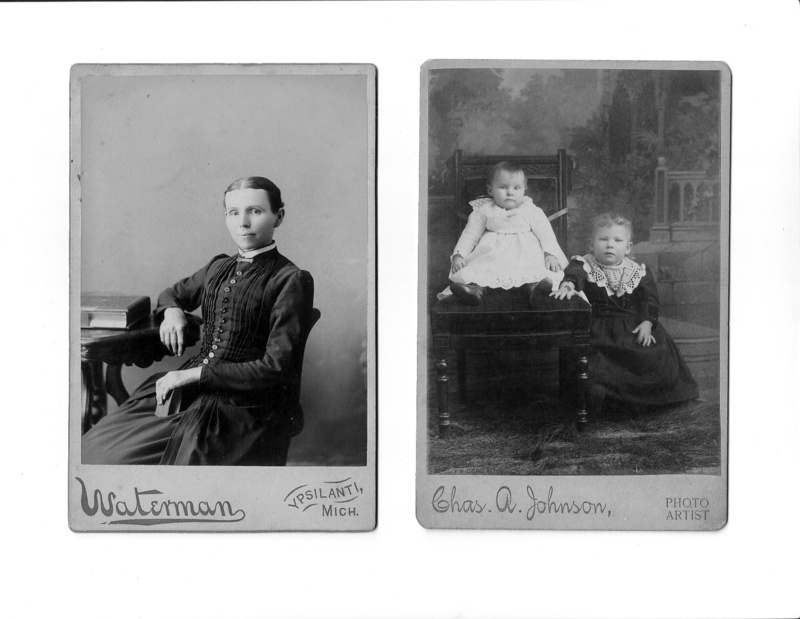 Charles, Nettie, and Jennie died in infancy. Alfred died before he had any children. 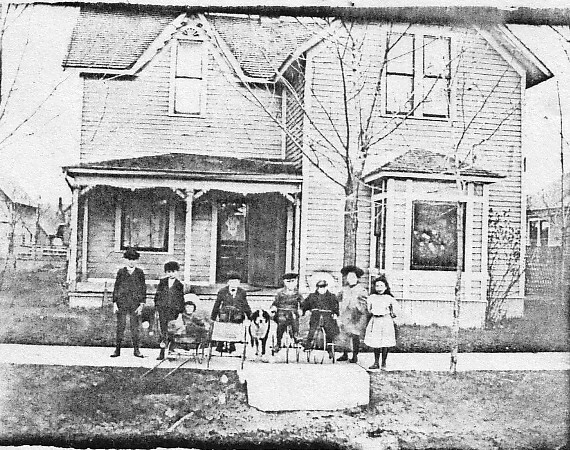 The family moved from Michigan to Harrison Township in Harrison County, Iowa. 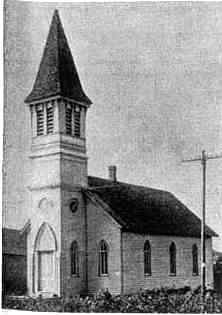 The remained there for three years before moving to Gibbon, Nebraska where Sanford B. was a minister. His wife Nancy died and he remarried to Cornelia (French) Watson. in 1883. With his wife Cornelia, he had six children. (1) Richard, (2)Cornelia, (3)Lottie, (4)Sanford B Jr, (5)John K, and (6)Clyde. 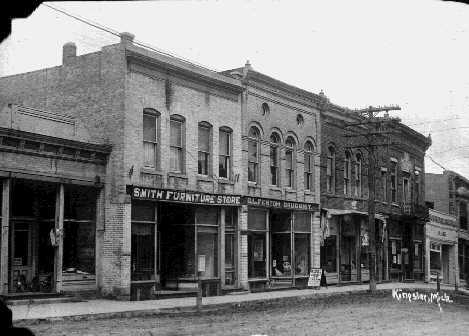 After retirement, Sanford moved to Des Moines, Iowa and died on December 12, 1919. 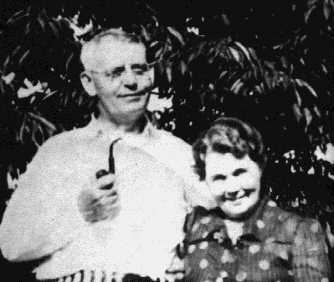 Sanford's parents were Horace Hayes and Mary Polly Beebe. Horace was born November 7, 1809 in Hanover Towship, Grafton County, New Hampshire. His wife, Mary Polly Beebe was born December 7, 1815 in New York. I have been unable to find any further information on the Beebe family. Horace and Mary were married March 3,1839 in Southfield which is in Oakland County, Michigan. The were married by Reverend Smith. On June 11, 1833 Horace purchased 40 acres of land in Milford, Oakland County, Michigan. His father John also purchased land nearby. Horace was in the 11th Michigan Infantry of Monroe County. 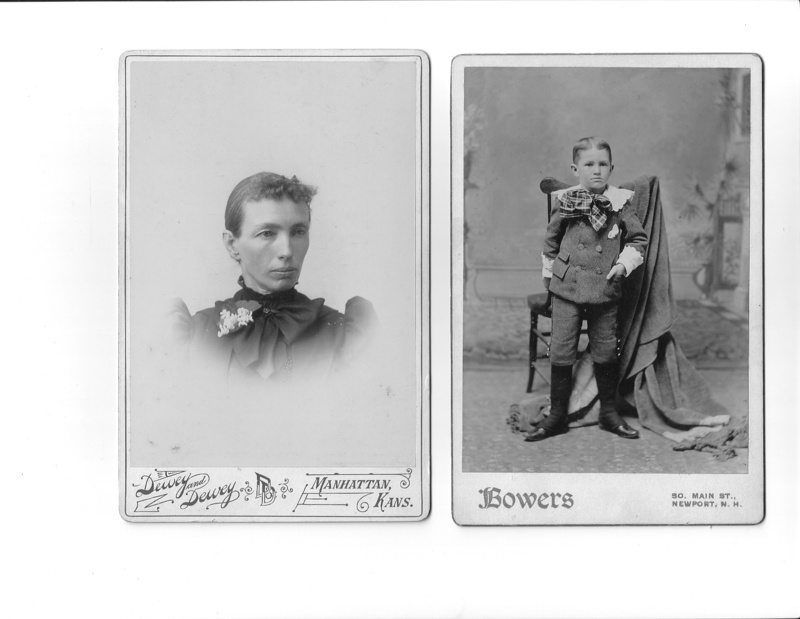 Horace and Mary Hayes had four children, (1)Sanford, (2)Olive, (3)Elvira and (4)Alfred. 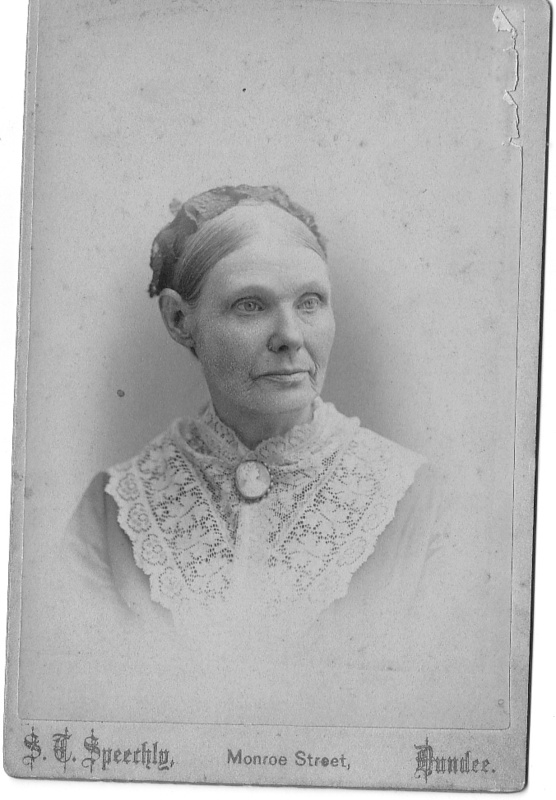 Mary (Beebe)Hayes died in 1885 in Ravenna, Portage County, Ohio. 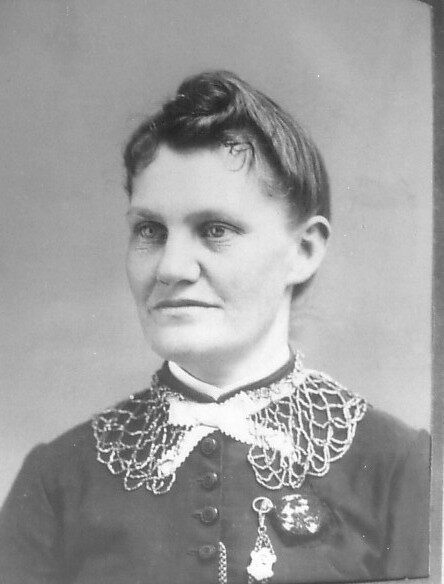 Her husband Horace died in 1896 in Michigan. Horace Hayes was the son of John Liberty Hayes and Sally Woodward. Horace lived in Monroe County, Michigan. When he was in his 40's he joined the fight for the Union Army in the Civil War. Horace was in Company I of the 11th Michigan Infantry. The 11th Michigan had a long history in the Civil War with a 41% casusalty rate. 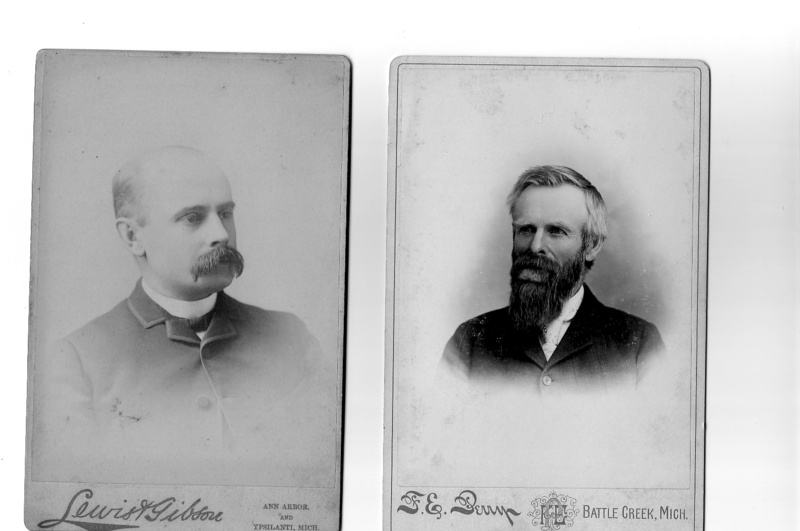 To read more about the 11th Michigan in the Civil War, click here. The family information now gets limited due to the dates. John Liberty Hayes was born about 1779, possibly in New Hampshire. I don't have any dates for Sally Woodward. They had a total of eleven children, (1)Huldah, (2)Byron, (3)John, (4)Hiram, (5)Sally, (6)David, (7)Alfred, (8)Horace, (9)Prophelia, (10)Amanda, and (11)Orville. The children were born between 1799 and 1816. On July 11, 1832, John L. Hayes bought 80 acres of land near his son Horace in Milford, Michigan. I do not have a death date for John Liberty Hayes or his wife Sally. John Liberty Hayes was one of six children, the son of Samuel Hayes and Sarah Robards. Samuel Libert Hayes was born about 1728 in Danburytown, Fairfield, CT. The children of Samuel and Sarah Hayes were (1)David, born about 1756, (2)Sarah, born about 1760, (3)Robert Daniel Hayes, born about 1762, (4)Eleazor Hayes, born in 1765, (5)Comfort Hayes born 1770 and (6)John Liberty, who is mentioned above. Here is where the information starts getting scarce due to the age. Samuel Hayes was the son of James Hayes. James Hayes was the son of another Samuel Hayes. The only thing we know about this Samuel Hayes is that he died before 1729. And this Samuel Hayes was the son of Nathaniel Hayes who was born about 1629 in England. He was married to Mary Kimberly who was born about 1643. They have a total of five children, (1)Samuel, (2)Nathaniel, (3)Elizabeth, (4)Mary and (5)James. Lists Asa Wilkins, who died after being taken prisoner at Gettysburg. He was a maternal Uncle to Amelia Ann (Cole) Hayes. 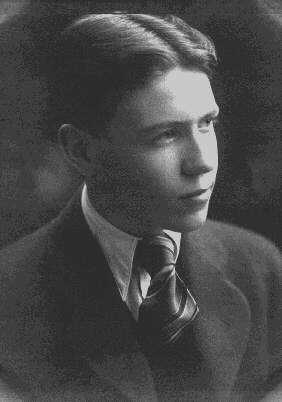 Distant relative Bill Hayes Jr. has an excellent Hayes page with photographs, documents charts, and a load of other information. Bill is related through John Liberty Hayes. He also maintains DNA information on the Hayes family. Directory showing the Hayes family in the city at that time. 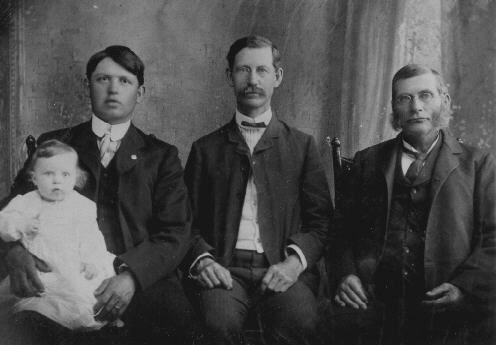 Four generation photo of Sanford B., Sanford E., Ben E. Hayes and George Arlieph Hayes. This photo was taken approximately 1903. This is located in Merrick County, Nebraska. It was organized January 26, 1886, and the first pastor of the church was Sanford B. Hayes. 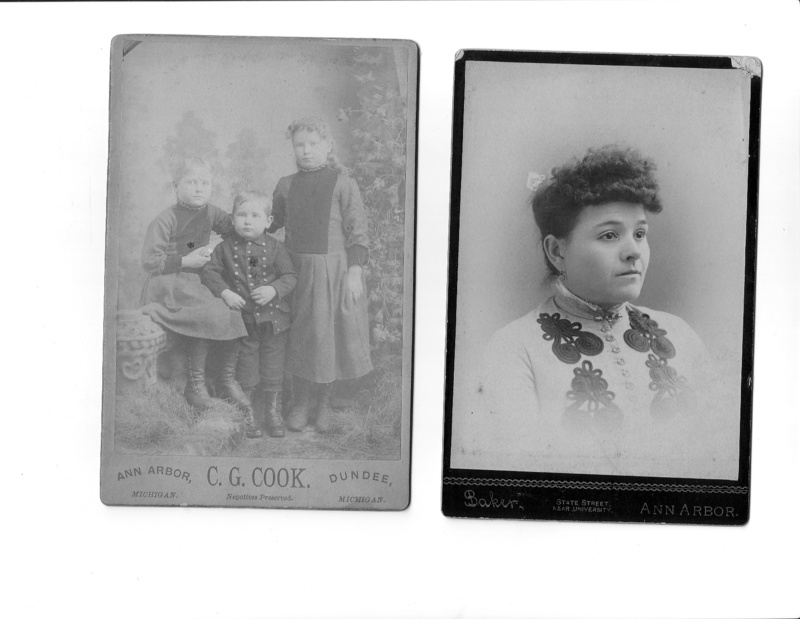 These are old photographs of Olive C. Hayes and her daughter Cora (Coe) Struthers, sister to Sanford B. Hayes. 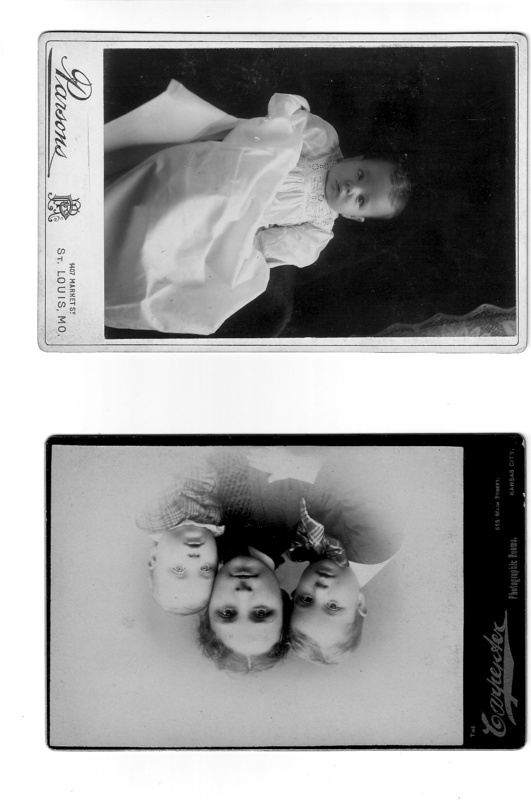 Four generations: This is Olive (Hayes) Coe, daughter Cora (Coe) Struthers, Hattie (Struthers) Huyck, and the baby is thought to be either Esther or Elmer Huyck. Scanned copies of obituaries from the Hayes / Coe family. Scanned copy of the marriage certificate for William Coe and Olive C. Hayes. 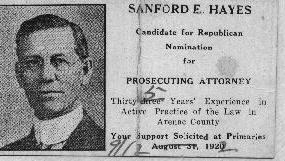 Election card when Sanford E. Hayes ran for office of the Prosecuting Attorney in Arenac County, Michigan. 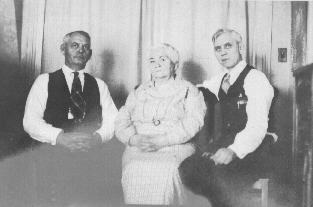 Amelia Ann (Cole) Hayes, wife of Sanford E. Hayes with her sons Ben E. Hayes and Ralph H. Hayes. Home of Sanford E. Hayes and Amelia Ann (Cole) Hayes Home is located in Standish, Michigan and has since been made into a parking lot. Letter by Sanford E. Hayes Letter written to his sister Olive, detailing some important details in his life. 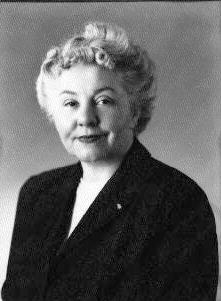 Olive Hayes married to George Washington Doty and had one daughter Rachel Doty. 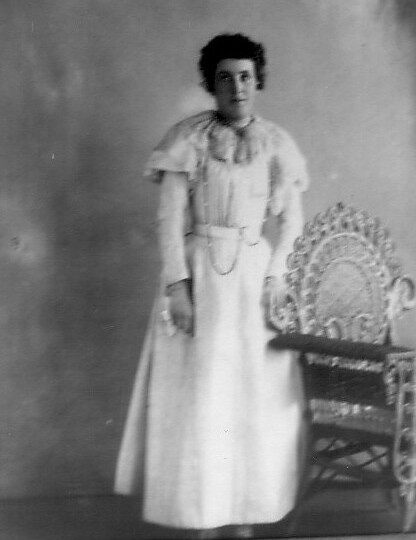 Rachel Doty married to Tolbert Stinnett. 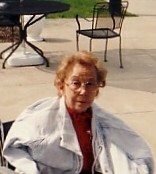 Thelma (Hayes) Robinson, daughter of Sanford E. and Amelia Ann (Cole) Hayes. Ralph Horth Hayes was the son of Sanford E. Hayes and Amelia Ann (Cole) Hayes. He lived in Royal Oak where he worked as an Attorney. 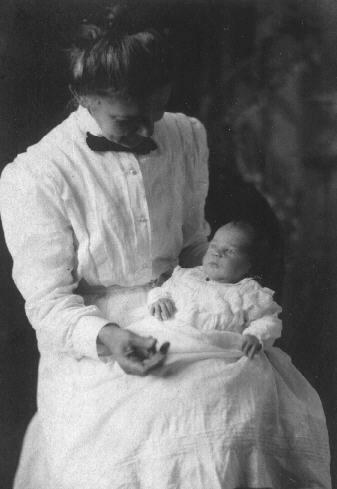 Ardis Lucille (Hayes) Klink as a baby, being held by the nurse who helped deliver her. She always belived there were no photos of her as a baby. 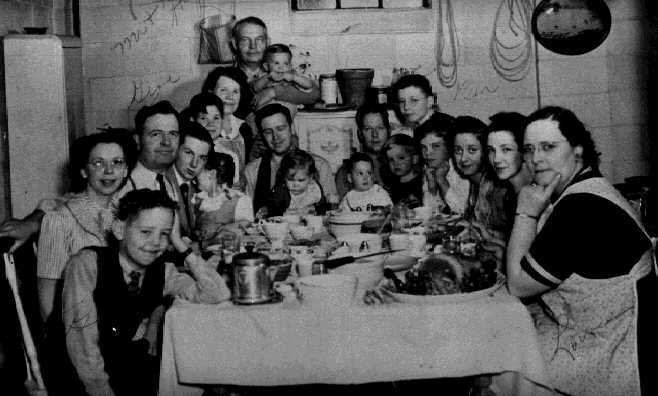 Family photo of the Hayes family. Back row: (l to r) are Bennie Hayes, Eugene L. Hayes, Victor E. Hayes, Ben Eugene Hayes, Bill Hayes. 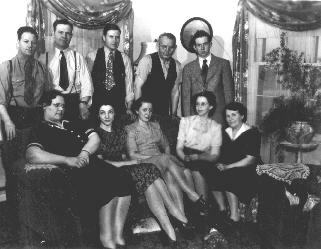 Front row: (l to r) Louise (Field) Hayes, Marguerite (McCully) Hayes, Lucille Hayes, Ardis (Hayes) Klink, and Lillian M. (Simpson) Hayes.